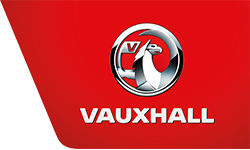 My Vauxhall is your one-stop shop for managing everything to do with your Vauxhall – from your Lifetime Warranty and servicing schedule, to rewards, discounts, prize draws and special offers. My Vauxhall is available to all owners, which of course, includes customers at Higgs & Barker. A Service Club Discount, which provides you with a 25% discount on servicing and repairs for vehicles over two years old at Higgs & Barker garages. Prize draws on a variety of products and services, from “experience” days out to aftersales products. Useful apps for smartphone users (such as 700 maps and “Find Your Car”, which helps you retrace your steps to where you parked your Vauxhall). V-Mag is a Vauxhall’s online magazine that lets you stay up–to–date with the latest Vauxhall news and industry trends, pick up driving tips, enter competitions, and more. Plus, each magazine is themed around a different topic – from colours to heroes. Download the app and stay updated anywhere, or browse through previous editions. For further information, visit www.MyVauxhall.co.uk or contact one of our friendly and experienced team members at Higgs & Barker by phone or in person, alternatively you can use our online enquiry form.